Training new sales representatives is generally either too fast and they learn very little that immediatelyhelps them, or too slow which delays them getting into the field. Either way can lead to a show start and delayed productivity. 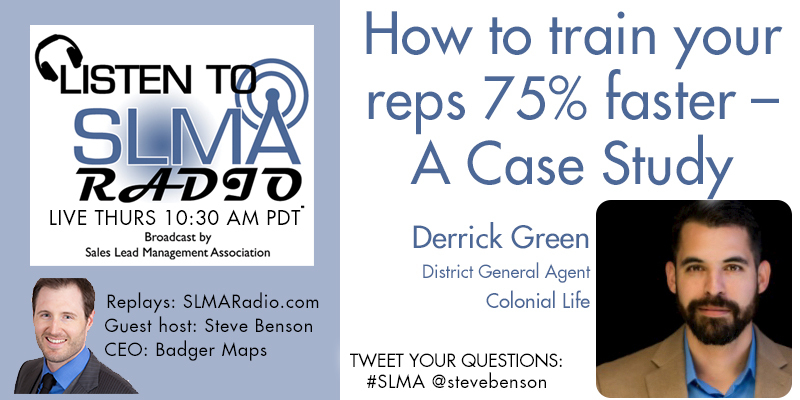 In this interview, guest host Steve Benson discusses how Badger Maps enabled Colonial Life to speed up the training process. Steve will interview Derrick Green of Colonial Life.